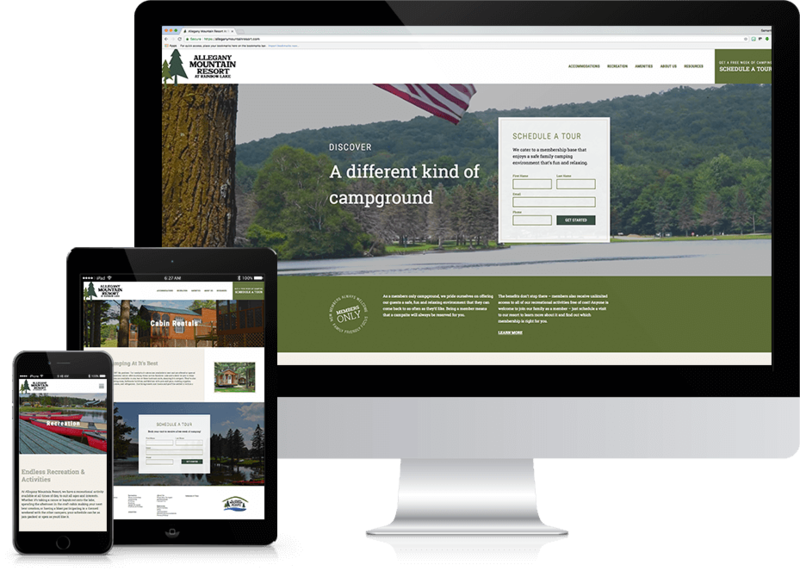 Allegany Mountain Resort needed a new website to better showcase their beautiful campgrounds and the many enhancements they’ve made over the years. 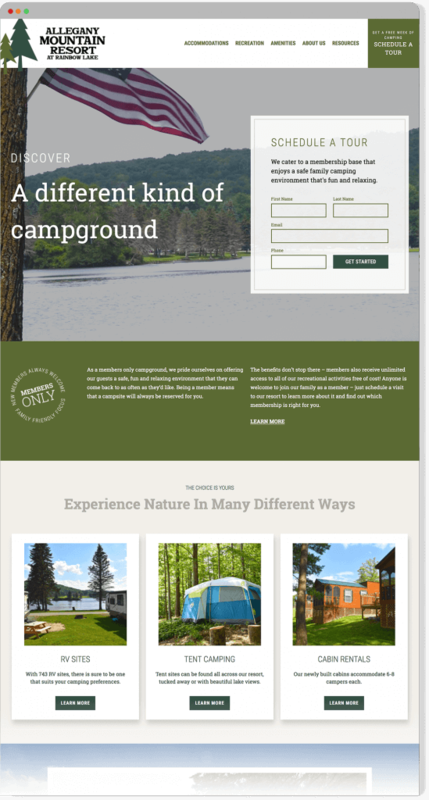 Cypress North developed a custom WordPress solution with organic search marketing in mind to make sure their target market can easily find them and what they’re looking for upon arriving to the site. 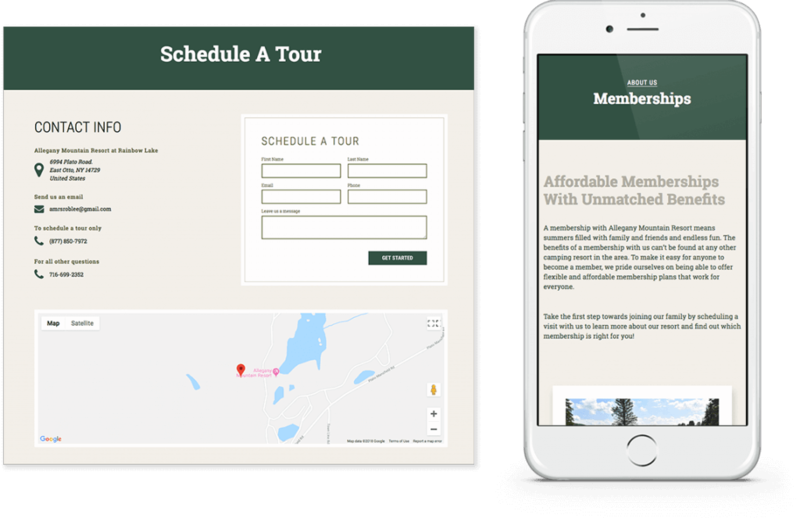 Allegany Mountain Resort needed a simple way for their target audience to schedule a tour, and ultimately become a member with their resort. We created custom WordPress forms and strategically placed them throughout the site to make contacting them effortless.